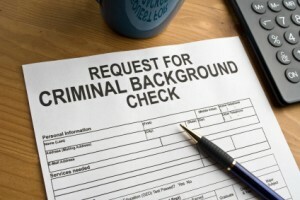 Cleaning Up that Pesky Criminal Record – Are You Eligible for a New Jersey Expungement? Many of you probably heard the news in early December that actor/past Calvin Klein model, Mark Wahlberg, asked the state of Massachusetts for a pardon for his 1988 assault conviction. The more technical term for the pardon he was asking is called is an “expungement” of criminal records. When he was 16, Wahlberg tried to steal alcohol from a man outside a convenience store near his family’s home. He hit a man at the store with a stick and punched another man as he ran from the police. When he was caught, the police found a small amount of marijuana in his back pocket; Wahlberg says he was under the influence of alcohol and narcotics at the time. In short, he was convicted as an adult even though he was 16 with: criminal contempt, assault and battery, two counts of assault and battery by a dangerous weapon and possession of a Class D controlled substance. He spent 45 days in jail as opposed to his initial 2-year sentence. Now 43 years old, he feels that his life and career have turned around for the better and is asking for a pardon. So how does this affect you? Well for most, who are not celebrity figures, millionaires etc. and do not have the luxury of having a secured job regardless of an approved expungement, a record of an arrest or conviction can haunt you or someone you know forever. Applications for schools, jobs, and military service often ask if an applicant has a criminal record. But what is the solution? Well it just so happens that many can actually solve this problem because they may be eligible to clear (expunge) their New Jersey criminal record. So how do you know if you’re eligible? The answer to this depends on the type and number of criminal records you have. The type of records means whether a conviction was for an indictable offense (generally an offense punishable by 6 months of jail time or more), for a disorderly persons offense (generally an offense punishable by less than six months of jail) , or for a violation of a municipal ordinance. Sometimes if you have just one indictable offense, you may be able to expunge that record as long as he or she has not been convicted of more than two disorderly offenses in New Jersey or any other state. Most of the time, motor vehicle convictions such as driving under the influence of alcohol or drugs cannot be expunged. This is the case because these convictions are not criminal convictions but rather violations of the motor vehicle code. For more information on what can and can’t be expunged, please give the Morano Law Firm a call at 201-598-5019. A New Jersey criminal gun charge can lead to mandatory jail in many cases. Hiring a New Jersey gun defense attorney is an important step when facing an indictable criminal gun charge. Most people have heard of the Plaxico Burress case in which he was sentenced for two years in prison due to mandatory minimums even though the only person that got hurt was himself. Avoiding major jail sentencing for a criminal gun charge start with an understand of New Jersey’s Graves Act. New Jersey is known nationwide for having some of the strongest laws pertaining to gun regulation. While the goal of these efforts is to combat criminal violence, it is not uncommon for the unsuspecting citizen to become tangled in the legal snares of our state’s gun control measures. Cases like that of Idyriss Thomas, the Glassboro resident who was arrested last October for shooting a rubber duck with an airsoft gun in his own backyard, reveal that well-intentioned people in New Jersey may not be familiar with our state’s firearm policies until it is too late. The Graves Act is a key component of New Jersey gun control efforts and understanding its significance is important for avoiding trouble with the law. In 1981, the Graves Act was established by the former Mayor of Paterson and New Jersey State Senator, Frank X. Graves Jr. The original law required a minimum prison term of 3 years for anyone convicted committing a crime with a firearm. In 2008, the New Jersey Legislature succeeded in significantly expanding the Graves Act to cover a much wider scope. The current law imposes the minimum prison term for a longer list of offenses such as possession of a sawed-off shotgun, possession of a defaced firearm, or possession of a firearm while committing a drug distribution offense. According to NJ Statute 2C:39-5, BB guns and airsoft guns are considered to be firearms. Although they may be easy to purchase online by anyone over the age of 18 and without requiring any firearm permit, owning one without the proper documentation can lead to a multitude of serious consequences. Under the Graves Act, simply getting caught with a BB gun can spell legal disaster for any person who believes that they are carrying around a toy when in reality this action can lead to being charged with unlawful possession of a weapon. Because possession itself is considered to be a crime, the Graves Act applies and you can be slammed with 3-5 years in prison, with a minimum of 3 of those years requiring parole ineligibility, and leave with a felony record. Seemingly harmless activities can sometimes carry with them strict penalties. This is especially true if the laws regulating these actions are complex and extensive, as is the case with New Jersey firearm laws. If you find yourself facing a potentially difficult legal situation and would like to have the backing of a highly experienced and successful law firm, call New Jersey Criminal Defense Attorney Corey Morano at 201-598-5019 or email coreymorano@gmail.com. It’s not too late to avoid the pitfalls of our legal system and a free consultation with expert lawyer Corey Morano can help you get your life back on track. Give us a call today, you will be glad you did. We have defended client with Bergen County Gun charges, Passaic County Gun charges, Essex County gun charges, Hudson County gun charges and criminal gun charges in Courts all over Northern New Jersey. 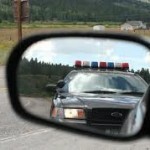 New Jersey Court delays can effect your criminal court matter. With The Morano Law Firm you can have an experienced Criminal Defense Attorney who understands the timing and procedures of the County Criminal Court where your case is being heard. According to NorthJersey.Com and recent articles in the The Record, divorce cases in Bergen County will face a murky and uncertain future when emergency measures to address a shortage of judges take effect next month, judges and lawyers say. Bergen County Assignment Judge Peter E. Doyne’s extraordinary order banning civil trials of more than two weeks, and his likely shifting of some judges to the criminal division, prompted predictions about an array of consequences. Complex divorce cases involving wealthy couples will be put on indefinite hold. The persistent backlog of divorce cases will grow. Custody battles requiring the lengthy testimony of psychological experts will face lengthy delays. Retired judges may be enlisted by increasing numbers of litigants as paid arbitrators to settle cases outside court. If you are being investigated for a crime, contact The Morano Law Firm, LLC immediately at 201-598-5019. Do not speak to anyone- especially government actors- about your case until you speak to attorney Corey P. Morano, Esq.. Even if you are not under arrest, anything you say can be used against you. Especially with these recent New Jersey Judicial backups, in some cases, The Morano Law Firm, LLC can assist clients in stopping a new case in its tracks. You will benefit by having Bergen County Criminal Defense Lawyer Corey Morano there to help defend your rights every step of the way. If your case is being considered for filing by the prosecutor’s office, we can assist, in some cases, by using early intervention on your behalf to stop the charges from being filed. It is never too early to contact The Morano Law Firm, LLC. We can help before you are indicted, before the grand jury and before it’s too late. If your case has already been filed, it is not too late to hire a competent and aggressive attorney who knows the ins and outs of the Bergen County courts, Passaic County courts, Hudson County courts, Essex County courts, Morris County courts, Union County courts and every court in all of New Jersey. We will be there with you, advocating on your behalf throughout the legal process. No two cases are alike. We will spend the time to understand the facts and nuances in your case to assist you with the strongest defense. Whether this is your first charge or if you have prior convictions on your record, we are here to help you get the best results possible in your criminal case, juvenile, or juvenile dependency case. At The Morano Law Firm, LLC, our priority is getting you results. With a decade of experience representing clients in New Jersey Criminal courts charged with crimes, we have the knowledge and skill to thoroughly evaluate your case and explore possible legal defenses and strategies that can be used to defend you against allegations. At the same time, we pride ourselves on treating clients with professionalism, courtesy and compassion. What’s more, we will provide you with the guidance you need to defend against your pending criminal charges in Superior Court. Bergen County criminal defense and juvenile crime attorney Corey Morano has earned a reputation as an outstanding advocate for clients with knowledge and experience that gets results. 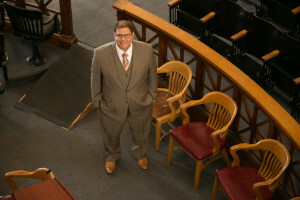 Corey Morano has spent a decade in each of the Northern New Jersey County Courts trying cases. Don’t have your case lost in the shuffle. Our prices are affordable and we make your case our top priority. If you are wondering why your case is taking so long to be heard; if you need to advise of an aggressive New Jersey Criminal Defense Attorney call Corey Morano of The Morano Law Firm at 201-598-5019 or email coreymorano@gmail.com for a free consultation today. Take a few minutes and contact me…you can peace of mind now. Understanding the difference between Jail and Prison is important when approaching your New Jersey criminal charge. As New Jersey criminal attorneys, we are asked this often. The terms “jail” and “prison” frequently pop up in conversation and are used interchangeably. While it is common to confuse the two terms, jail and prison actually refer to separate institutions. 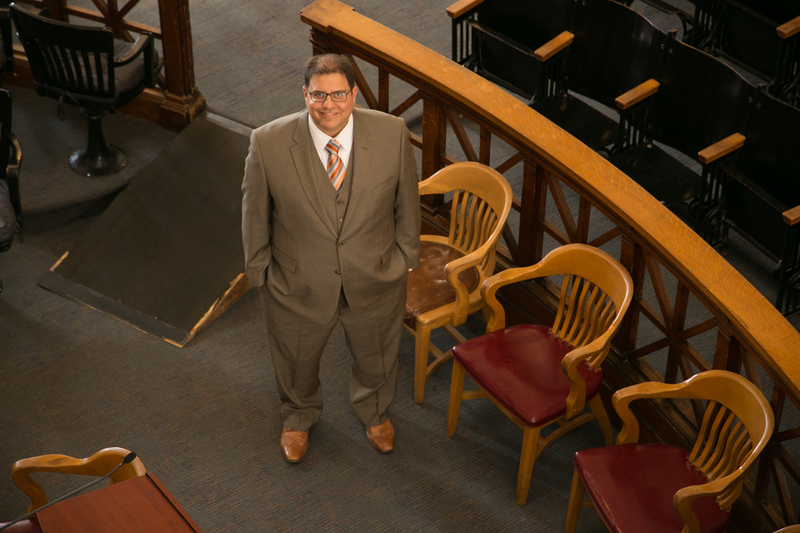 The differences are important to understand because they carry a lot of weight for those who find themselves facing a conviction in a New Jersey courtroom. Jail is without a doubt the less severe option. Jails are operated by the county sheriff’s department and are reserved for those who are awaiting trial or those who have been sentenced for a short amount of time. In New Jersey, this time period is 364 days or less. Serving time in jail is generally considered to be preferable to prison because the conditions are not as dangerous. Prisons are intended to detain people who have committed more serious crimes. Those who have been convicted for a year or longer in New Jersey are sent here. Prisons can either be managed by the New Jersey Department of Corrections or the federal government. These higher government departments maintain sentencing records that are generally easier to access by the general public. The Offender Search feature on the NJ Department of Corrections website and the Inmate Finder feature on the Federal Bureau of Prisons website are two such examples. Because prisons are associated with more serious criminal activity, having an easily accessed prison record can be more harmful to job prospects. In New Jersey, state prison can be avoided with a plea deal known as 364 days in County Jail as a condition of probation. This sentence is more desirable to people who have committed crimes that do not necessarily warrant being sent to state prison. Generally speaking, with 364 as a condition of probation, at sentencing, the Judge has the ability to sentence the defendant anywhere from 1 to 364 days in the County Prison with probation or a non-custodial sentence with probation only. If you have any questions on the topic and would like to find out more information, contact The Morano Law Firm at 201-598-5019 or send an email to newjerseylawyernow@gmail.com for a free consultation. A New Jersey Invasion of Privacy Lawyer will tell you that every now and then most of us forget that a stranger’s personal matters can be highly sensitive. We are all affected by curiosity and New Jersey Invasion of Privacy laws, making it likely that most of us will snoop into someone else’s business from time to time. It’s easy for people to overstep certain legal boundaries however, and disregarding an individual’s right to privacy can have serious consequences. The recent court case New Jersey v. Dharun Ravi, where a Rutgers University student spied on his roommate during a sexual encounter, reveals the potential severity of the issue. Understanding New Jersey Laws regarding invasion of privacy can help prevent a simple mistake from escalating into a criminal trial. 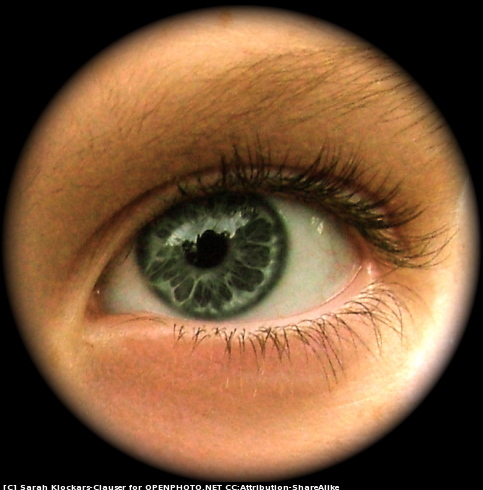 The legal definition of Invasion of Privacy can be found in New Jersey’s Code of Criminal Justice. According to N.J.S.A. 2C:14-9, you can be found guilty of a violation if you observe another person without that person’s consent under circumstances in which he or she would not assume to be observed. If you suspect that someone “may expose intimate parts or may engage in sexual penetration or sexual contact” in a private setting, chances are you are not permitted to continue watching. The crime becomes more serious if you decide to “photograph, film, videotape, record, or otherwise reproduce” the event. Unless you had provided prior notice to the person of your intent to observe or record them, you could be charged with invading that person’s privacy. 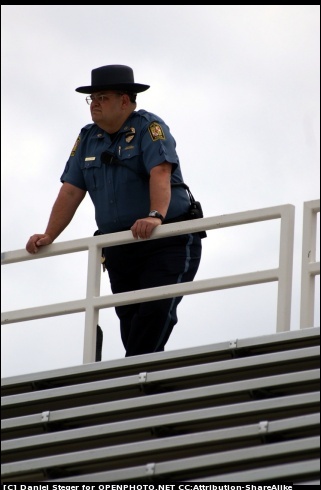 Of course, the law allows for certain exceptions (specifically regarding law enforcement officers, retail fitting rooms, and those acting with a lawful purpose). In cases similar to that of Dharun Ravi’s however, the law can be unforgiving. Fines of up to $30,000 can imposed, not including any other charges which might be brought up depending on the circumstances. New Jersey’s Invasion of Privacy statute (2C:14-9) can be severe, which is unfortunate because many people won’t even realize they are committing a violation until it is too late. The topic itself is highly complicated, making it challenging for defendants to make the best possible case for themselves if accused. If you have any questions about the subject or want to ensure that your side of the story is heard in court, do not hesitate to contact us now for quality legal representation. Contact The Morano Law Firm at 201-598-5019 or send an email to newjerseylawyernow@gmail.com for a free consultation and to speak to an New Jersey Invasion of Privacy Attorney today! First time offenders now have new option in New Jersey with the new Conditional Dismissal program for minor offenses in municipal court. The law provides that before making an application to the court for conditional dismissal, the defendant must be fingerprinted as provided in N.J.S.A. 53:1-15 to allow for verification of the defendant’s criminal history by the prosecutor. In addition, a person seeking admission to the conditional dismissal program must pay to the court an application fee of $75. The law allows a defendant to apply for a waiver of the fee by reason of poverty. The court may also permit the defendant to pay the conditional dismissal fee and other assessments in installments or order other alternatives pursuant to N.J.S.A. 2B:12-23.1. Under the law, conditional dismissal application fees will be deposited in the “Municipal Court Diversion Fund,” which is to be administered by the Administrative Office of the Courts. Monies in the Fund are to be used to offset the cost of intake and monitoring services related to the conditional dismissal program. Under the law, after considering the defendant’s criminal history, the eligibility criteria and the prosecutor’s recommendation, the court may, without entering a judgment of conviction, and after proper reference to the State Bureau of Identification criminal history record information files, approve the defendant’s participation in the conditional dismissal program and place the defendant under a probation “monitoring” status for one year. In addition the law provides that the court may impose financial obligations and other terms and conditions. The law specifically provides that the court may impose an assessment, based on the nature of the offense and the character of the defendant, that shall not exceed the amount of a fine that would have been imposed for conviction of the offense charged. The law requires that a defendant must be advised of all financial conditions prior to seeking entry into the conditional dismissal program. If the court approves a defendant’s participation in the conditional dismissal program over the municipal prosecutor’s objection, the law provides that the order approving the defendant’s participation in the program shall be a final order but upon the request of the municipal prosecutor, it shall be stayed for 10 days to permit the prosecutor to appeal such order to the Superior Court. Under the law, if a defendant who is participating in the conditional dismissal program is convicted of any petty disorderly persons offense, disorderly persons offense or crime, or otherwise fails to comply with the terms and conditions imposed by the court, the court can enter a judgment of conviction and impose a fine, penalty, or other assessment in accordance with the dIf, at the end of the term of conditional dismissal, the defendant has not been convicted of any subsequent offense, and has complied with any other terms and conditions imposed by the court, the law authorizes the court to terminate the probation monitoring and dismiss the proceedings against the defendant. 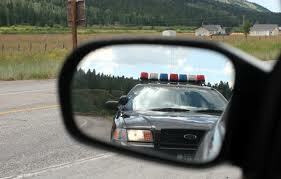 Having an arrest or conviction on your record can lead to many headaches down the road. Applying to schools and searching for jobs is much tougher for those with a criminal record, even if the offense was something as trivial as violating a municipal ordinance (littering, loud noise disturbances, etc). Fortunately, New Jersey allows certain individuals to clear their record through the process of expungement. Outlined under statute 2C:52, this process can provide a fresh start for New Jersey residents who wish to remove derogatory marks on their record. Understanding the benefits and limitations of the process is very important for those who want to clear their criminal history. Certain violations are not eligible for expungement, ranging from severe convictions like homicide and robbery, to lesser ones like certain types of motor vehicle convictions. Other limitations include the preservation of records for those who wish to apply to jobs with local, county, and state corrections departments, prosecutors, courts, or law enforcement agencies. Additionally, the records kept by the Real Estate Commission and the Department of Insurance are not affected by the expungement process. These agencies are unable to access an individual’s expunged criminal records after expungement. If they record a conviction before it is cleared however, they are then free to keep this information and publicize it indefinitely. This is why it is very important for all New Jersey residents to be aware of their rights and take a proactive approach to expungement. The expungement process can be a lengthy and difficult process if handled improperly. An individual must first recognize exactly what is recorded on their record and then research if this arrest or conviction is eligible for expungement. A Petition for Expungement must then be carefully filled out and filed in the Superior Court in the county where the incident took place. The individual must then wait for a judge to decide on further action, with the ideal outcome of the record being expunged. If you would like to begin navigating the expungement process but are not sure how to proceed, then let The Morano Law Firm help. Give us a call at 201-598-5019 or email us directly for a free consultation, where we can provide you with valuable information about the easiest way to maximize your chances at being granted a successful expungement. Don’t let background checks and pre-employment screening scare you away from the career you want; contact us today.